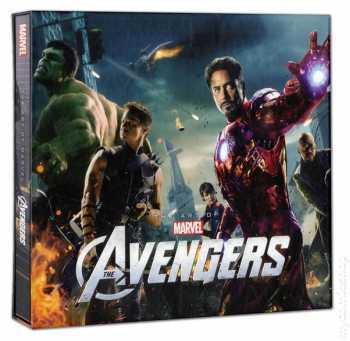 The official art book for the first Avengers film from 2012. Art by Ryan Meinerding, Andy Park, Steve Jung, Charlie Wen, Adi Granov, Phil Saunders, Nathan Schroeder, and others. Out of print. This keepsake volume is an experiential journey through the entire film from beginning to end - featuring stunning concept art; full-color photographs from the set, as well as the finished film; excerpts from the script; and exclusive interviews with the cast and crew. From costume and production design to visual effects and creature creation, THE ART OF THE AVENGERS is a lavish showcase of all the artistry and creativity that brings the Marvel Cinematic Universe to life onscreen.